June practically owns pearls, what with weddings, graduations, birthdays, and pearls' affinity for summer clothes. What if you were once given a classic strand or bracelet that you now find too conservative for your present life? Choose new earrings instead of matching studs. 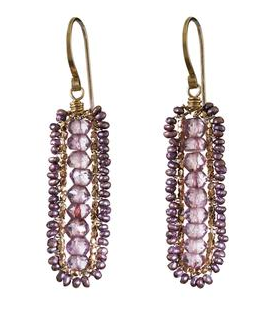 With a white strand, wear pretty dangles by Dana Kellin, pink quartz beads surrounded by tiny lavender pearls. Price, $172. Tai's white pearl and red tassel bracelet is the one I'd choose to combine with a glowing but more traditional single-row bracelet; price, $62. Or, for a bracelet with silver undertones, I'd pick a silver keshi bracelet (or two) to join that classic. You might have to change the clasps so that the metals coordinate, a small job. 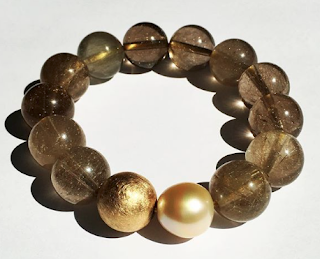 Shown, keshi bracelet from Etsy seller thebigbluebead; price, $28. Yes, you can mix pearl varieties, just pay attention to the undertone: cream, silver, rose or absolutely white-white. This special strand of tiny Japanese akoya keshis would blend marvelously with cream-undertoned whites. I would have bought this instantly if it were longer than 16.5 inches. Price, $342; from Kojima Company. 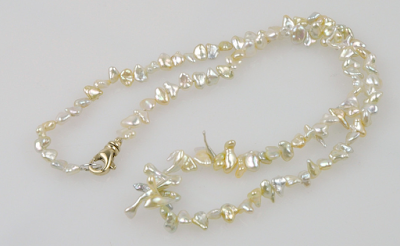 A pendant changes pearls entirely and is my preferred strategy for pearls under 7.5mm, which then become the "chain" for the pendant. 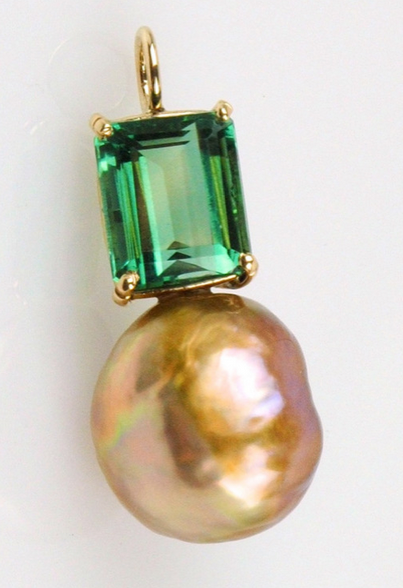 Certain pearls are just magical: a 16.8mm natural-colour Kasumi that flashes gold, lavender and peach topped with a green glass baguette ($702 at Kojima Company). One last idea: go retro. Adding a killer pair of retro or mid-century earrings makes the trad necklace or bracelet look intentional, not leftover. Maybe you have a pair of your mother's; if not, channel Joan Holloway, not Betty Draper; they need a little wiggle. 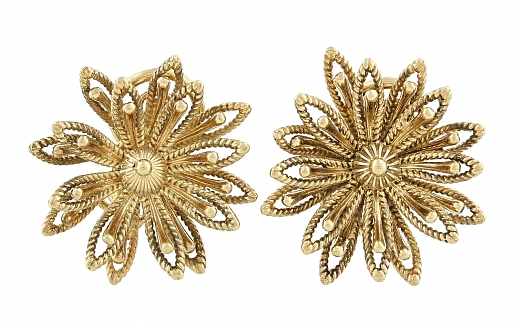 Once Joan became a partner, though, she'd have bought these whimsical yet sophisticated mid-century 14k flower earrings from Beladora! (price, $995.) Oh right, no pearls here, but I liked them so much they made the cut. If pearls come into your life, you're lucky, but sometimes luck needs a little nudge into the present, and the solution is... more pearls. Have fun taking yours out of the jewelry box, and if you wish, contact me to show us your update. Lovely post with great ideas on how to mix pieces, something I struggle with but am beginning to learn. Love the pendant. Funny, but I just put on a little-used pearl necklace with denim capris and a t-shirt to go to a class. Pearls don't have to be "dressy" especially since I'm retired. Renovating my little strand is still on the to-do list, I haven't decided between a bracelet or a necklace. I'll be very interested to see if others post pictures. As always, you've nudged me forward and opened up possibilities. I've been in the garden all day and am needing a little bliss and pearls do it so well. 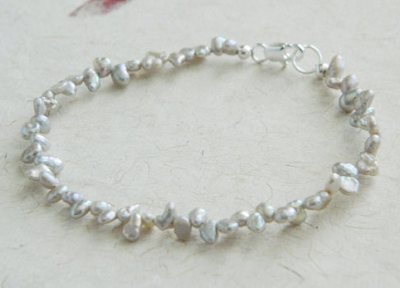 I received a lovely pearl necklace and bracelet combo with ring and bar white gold clasps, for my 50th nearly a decade ago. They look marvellous, but sometimes a bit too low key. So I bought a silver bead necklace and bracelet set, same lengths and bead size as the pearls. 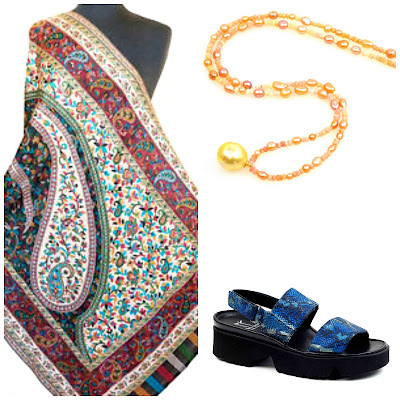 I wear them together when I want a more eyecatching or edgy combo - it creates an entirely different vibe. I have also worn all my pearl necklaces together - round, Baroque, long, short - at the same time with a simple LBD at the opera here in London. I wore this look with tiny diamond stud earrings and it looked opulant and quite chic. 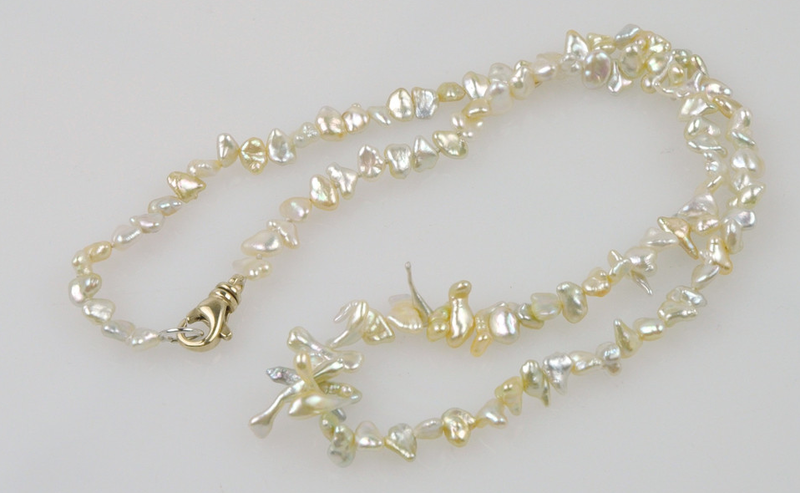 I've also combined a long string of Baroque pearls with a long string of amber beads, slung 'carelessly' a couple of times around the neck, to good effect. Mardel: Oh, I hope you wear that strand of stacked keshis often! Mme: I actually prefer them like that, and also a small strand with one or more other pieces. Old pearls look much better that way, doesn't matter if they have some wear. hostess: You have both a beautiful garden AND pearls! The kasumi pearl with green glass is a pendant only - when I clicked on your link, the picture shows a pendant on a ribbon or cord, with 2 pictures below that, it looks like 2 matching earrings, but it turns out those are just 2 pendants. I sent an inquiry to the company, and there are no earrings available. Sad, that would be such a fabulous earring! Rita: I identified the kasumi as a pendant; the seller lists it clearly as a pendant, and the views are not of two pendants, they are of the front and back of that one pendant. If you are looking for a pair of large Kasumis to set as earrings, this vendor can likely source them for you. Duchesse, I did check with the vendor, there are no earrings and they have no more green glass to make any. But they would really be gorgeous! 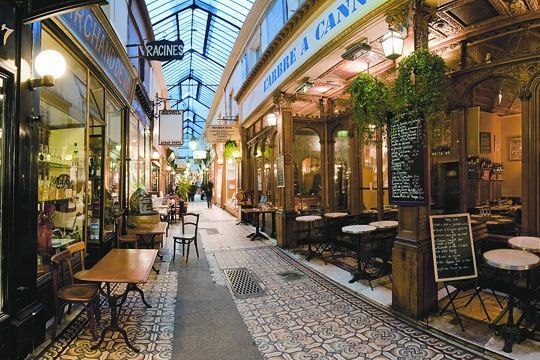 Maybe I'll start scoping out bead stores and antique shops for something similar. I love the combination of the green and pearl. I'm glad you showed that pic. 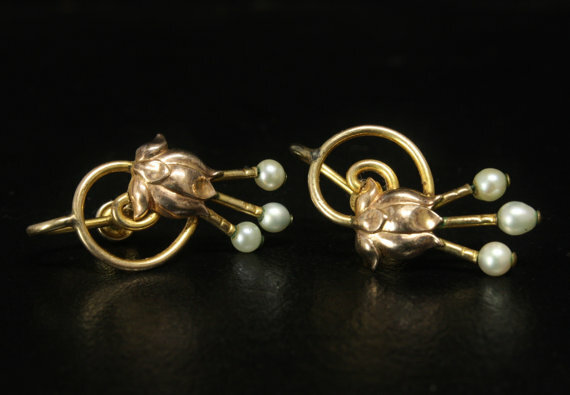 Rita: When a vendor shows a pendant, and you want earrings, my recommended path is to ask them to look for pearls like that for you, as a special order. This means that when Sarah, the owner of Kojima Company, does her pearl-buying, she had your request and can locate such pearls. She has done this for me. You would then take the photo to a jeweler, or ask Kojima to recommend with one. The green glass cabs are not hard to find; I saw similar on both eBay and Etsy. A photo is an excellent place to start; it just takes a legwork (and sometimes patience) to achieve your vision. The pearls are the place to start.